Operating a business in the medical field can be complex. Firms or incorporated bodies providing health care services can still be held responsible for the provision of such health care services regardless of whether the medical practitioner or locum doctor is an employee or not, and regardless of whether the practitioner or locum has their own individual medical indemnity insurance. Medical Malpractice Liability Insurance can protect you as a healthcare establishment from claims arising from your healthcare services. 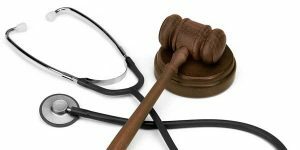 Do I need Malpractice or Liability Insurance? Circumstances surrounding a claim may arise where there is a dispute as to whether a malpractice or a liability policy should respond. For example, where a patient is injured as a result of an equipment malfunction, is that malpractice or liability? We help you navigate through these risks to ensure you have the optimal cover. For more information about Medical Malpractice Civil Liability Insurance contact us today on 1300 850 137.